BHS Sheet Material and Ground Racks ensure that your valuable materials and merchandise stay securely in place while being transported or stored. 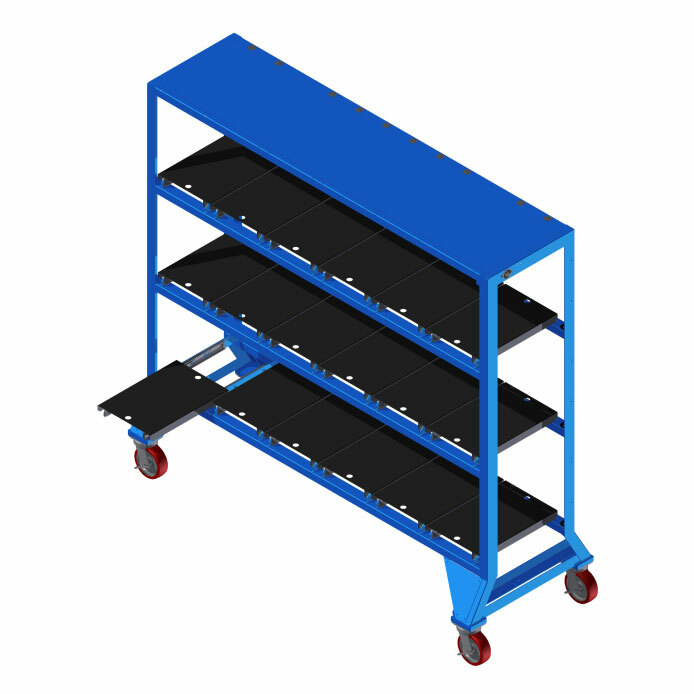 The Sheet Material Rack has an angled back and deck along with anti-skid surface to keep products stationary. 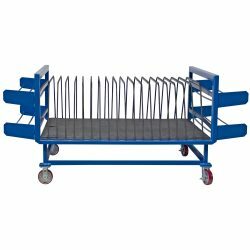 The Ground Rack has fork pockets and mounting feet, providing versatility for your material storage. Choose from the Sheet Material or Ground Rack depending on your specific needs. Click on one of the models listed below for more information or call our sales team at 1.800.BHS.9500 to find a dealer near you. Tailored storage and transportation for glass, granite, and more. High-capacity storage and cable organization for laptops and tablets. 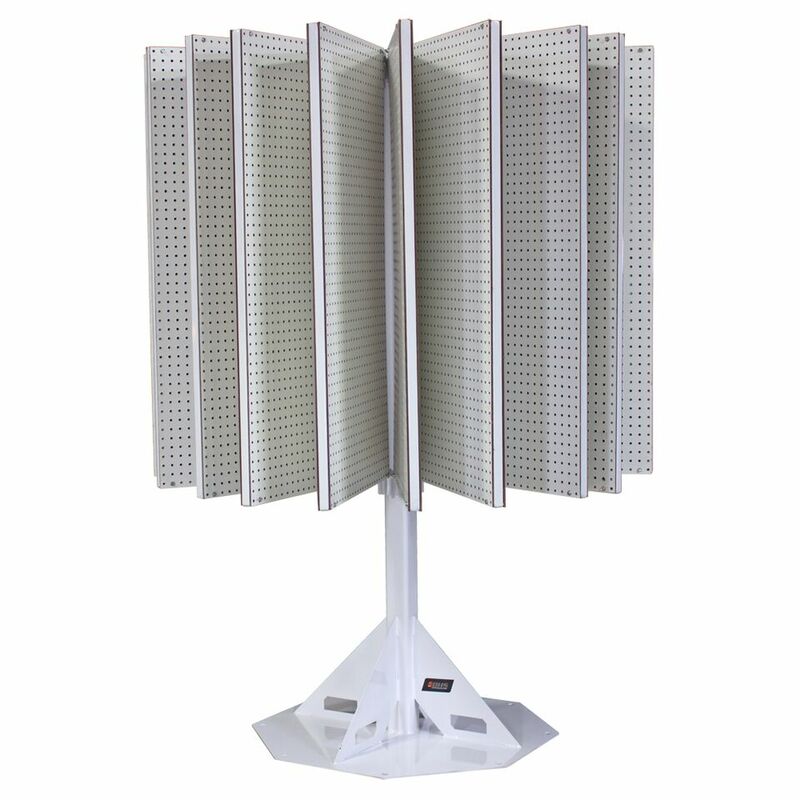 Attractive and rugged display for marketing materials and products. Transport plywood, drywall, stone, and other sheet materials. Small-footprint storage for bars, pipes, lumber, and more. BHS Ground Racks provide a single source for storing and transporting a wide variety of materials like conduit, tubes, sheet material, panels, and bagged material for manufacturing and landscaping. Ground Racks have two-way fork pockets and mounting feet for bolting the unit to the floor, so they’re equally ready for transportation and stability. The GR also comes with removable A-frame or square restraints. 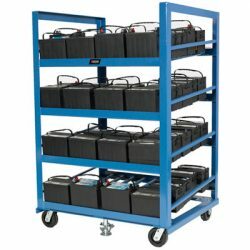 Like most BHS products, our Ground Racks have a heavy-duty formed steel construction complete with a durable powder coat finish. This rugged storage unit has an 8,000-pound load capacity. 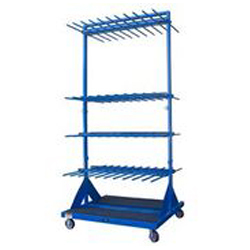 When you need to trust a rack with your valuable merchandise or materials, invest in top-quality racks from BHS. For an in-depth look either of these models, download a detailed PDF from the product page. Our sales staff is always ready to discuss the benefits of BHS storage and transport equipment for warehouses. Call us at 1.800.BHS.9500 to learn more, or download our product literature here.